Best poker experience. Instant or download client? Is instant poker as good as the download versions? Not at the moment! If you compare Full Tilt Poker or PokerStars mac client with an instant version from any of the competitors then you’ll see that Full Tilt and PokerStars is way ahead. It is faster to load, faster to start tables and have more features. An instant version works well when you are using a computer on which you aren’t allowed to install software. Many poker rooms today have both a download version and an instant version of their poker client. In the first category you’ll find companies like Full Tilt Poker, bwin (this used to be linked bwin.com but bwin.party asked me to remove the link) and PokerStars. 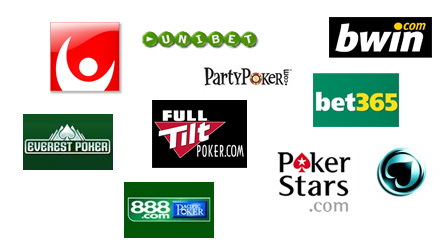 In the second category you’ll find companies like Unibet, Svenska Spel and 888 (this used to be linked 888.com but 888 asked me to remove the link). In the third category you’ll find companies like Expekt. Companies with only a PC version need to rethink and start offer poker for all mac users out there. Even if the number of players using a mac is relatively low it is important to give them an opportunity to play. Especially if it is players who are using other products like sportsbook or casino and want to try poker. If they can’t do it on your portal then they will go somewhere else and the chance is pretty big that they will play casino on the new site as well. It will be important to start thinking about mobile solutions as well. PokerStars bought Cecure Gaming a couple of months ago and I wouldn’t be surprised if we’ll see a mobile PokerStars client in the near future. Today download clients give the best poker experience, but I am sure we’ll see some exciting innovations in the future. Maybe at ICEi?